Children: Children are welcome all year round and stay free of charge when sharing a room with their parents (aged 12 years and under). Children 12 and under eat free when dining off the kids menu and receive 50% discount when eating off the main menu.. Daily kids activities and entertainment include kayaking, beach cricket, soccer, Bajan sporting games, treasure hunts and movies. Facilities/Amenities: Complimentary non-motorised watersports include snorkelling, swimming with turtles*, kayaking and sailing. Scuba diving, fishing and boat trips are charged for locally. There is access to the swimming pool and Jacuzzi, the fitness room, two night-lit, hard surface tennis courts and table tennis. Golf is available at the Royal Westmoreland Golf Course. In-room spa treatments are offered in guest’s room and can be arranged through the Concierge. There is also a complimentary weekly cooking class. *Sea turtles are a migratory species and may not be present during certain times of the year. Complimentary: All guests receive complimentary full buffet breakfast and a VIP fast track service at Barbados airport. 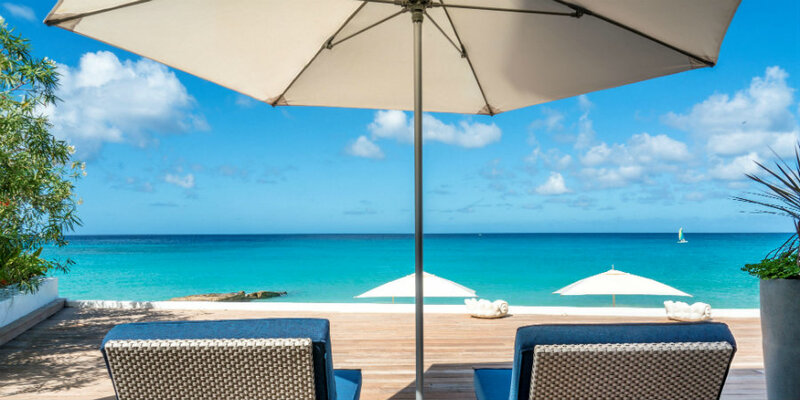 Guests staying in Signature Oceanfront Rooms and higher room categories also receive complimentary airport transfers (one car per room) and butler service with daily evening canapes. Restaurants: Palm Terrace Restaurant opens daily for breakfast and seasonally for dinner; Taboras Restaurant is open for breakfast, lunch, dinner and afternoon tea (non-smoking). The Beach Club serves light lunches beside the sand. Guests can also enjoy 24-hour room service. Meal arrangements: Bed and breakfast are complimentary for all room stays, half board and full board options are available. Dress Code: Elegantly casual at Palm Restaurant where gentlemen should wear long trousers and collared shirts for dinner. Taboras Restaurant is informal but cover-ups are requested over swimwear. Credit Cards: Visa, MasterCard, American Express and Discover Card. Guest Services: Concierge and bell staff, ladies and gentlemen's boutiques, a jewelry shop and a hair salon, twice daily housekeeping service, laundry services, medical services, wheelchair accessibility, WiFi access in guest rooms and public areas, complimentary use of laptop computers. Check in/Out: Guests are kindly asked to check in at 4pm and check out at 11am. Business Services: Top class facilities, conference planners facilities include audio visual aids (available with advance notice), fax machine, overhead projector/screen, photocopier, complimentary high speed internet access. Please note: All public areas are wheelchair accessible. Private balcony or terrace, Elite Pillow top king bed, ceiling fans, air conditioning, in-room safe, bathrobes, remote cable colour TV, DVD and CD player. High speed internet access & WiFi throughout, access to DVD/CD & book library, a hairdryer, coffee maker and a kettle, a large closet, iron/ironing board, beach towels and umbrellas, mini bars, voice mail, computer dataport, access to the fitness centre and two telephones. Signature & Luxury Oceanfront Room: 500 sq. ft. Just 25 feet from the ocean with spectacular views, these rooms have been recently refurbished with a spacious balcony area with glass fronted railings, comfortable furnishings with 2 chairs and a coffee table and a ceiling fan. The bathroom with marble floors, a separate tub and shower. The bedroom has ceramic tile floors. The Luxury Oceanfront rooms are located on the 1st floor while the Signature Oceanfront rooms are located on the 2nd floor. All Signature & Luxury Oceanfront Rooms are interconnecting, so ideal for guests or families travelling together. Max. occupancy: 3 adults or 2 adults and 1 child. A cot is available on request as are connecting rooms. While all room categories include daily buffet breakfast and airport fast track, Signature Oceanfront rooms enjoy the added benefits of butler service and luxury airport transfers. Beachfront Suite: 650 sq. ft. These suites a light nautical chic décor and have stunning ocean views. They have hardwood floors, a private wooden deck, complimentary daily buffet breakfast, airport fast track, luxury airport transfers, butler service, evening canapes and bespoke amenities. The suites have a large seating area with a sofa, table and two chairs, an Elite pillow top king-side bed, a bathroom with marble floors, a separate tub and shower. The suites are located on the ground floor. Villa: Bookable as a one, two or three-bedroom unit, the recently renovated villa is less than 100m away from the beach with breathtaking sea views. Contact us for more information. Guests staying in the villa receive complimentary daily buffet breakfast, airport fast track, luxury airport transfers, butler service, evening canapes and bespoke amenities.